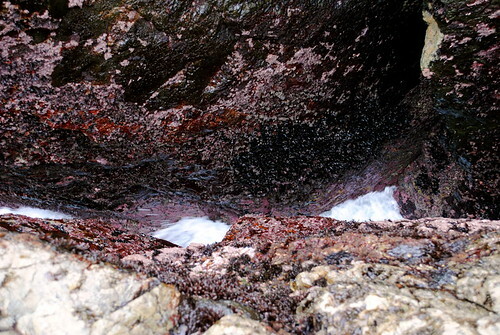 Weeks ago as I researched unique and interesting things to do in Ucluelet, I came across stories of a supposed blowhole on one of Ukee’s isolated stretches of shoreline. 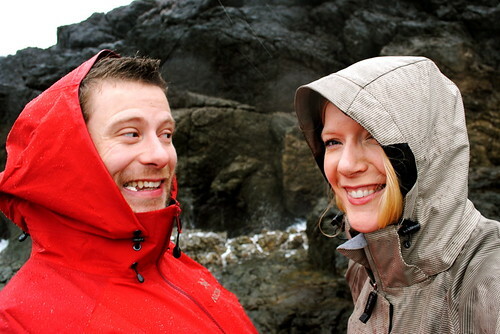 Always looking for adventure, we zipped up our rain jackets, pulled on sturdy boots and set foot through the forest. 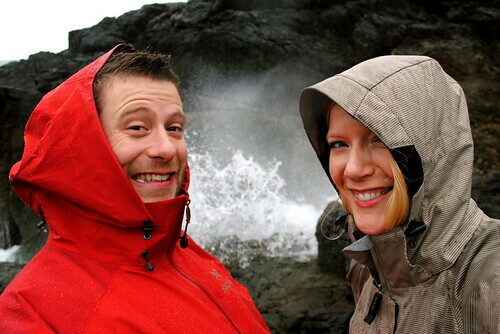 Before long, we found ourselves on gritty sand and jagged rocks. As we cut through the trees and could see ocean in the distance, a deep, eerie sound filled the air and shook from under the ground and through our feet. Not unlike the vibrating thuds Tyrannosaurus rex made in Jurrasic Park as he was nearing, we were suddenly excited at the sound, knowing that the blowhole was near. Nothing could have prepared us for what we saw! 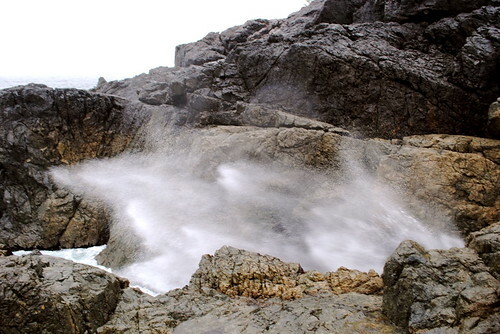 Those lucky enough to visit the blowhole on a stormy day – and preferably when the tide is low – will experience something that is nothing short of the most incredible thing I have ever seen occur in nature. It’s difficult to put into words just how amazing a simple force of nature can be, but it’s well worth the trek and you’ll encounter more than just water sprays. Tidal pools are always fascinating to explore and we were even lucky enough to spot a mother eagle protecting her mammoth-sized nest. 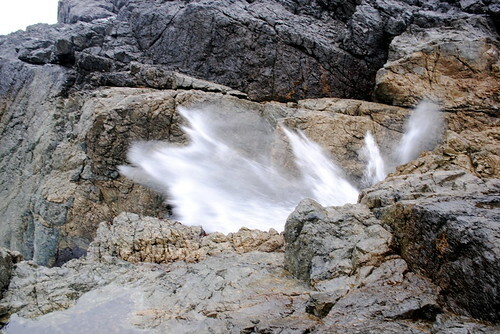 Want to see the Ucluelet blowhole for yourself? 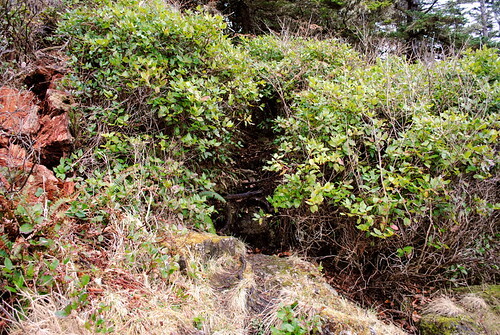 Traveling south from the junction into Ucluelet, park at the side of the road a few metres south of Lee Street. The path entrance is marked by a concrete divider, opposite Hardy Road, though Hardy Road is unmarked. [map] The path is a bit more than a kilometre to the beach and when it forks, head to the right. 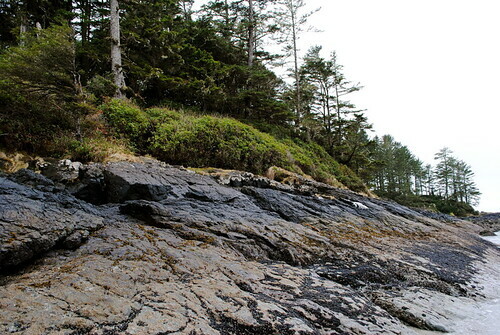 Once you reach Fletcher’s Beach, veer left and look for a hard-to-find path cutting into the headland. The path entrance is illustrated below and once you’re on it, it’s marked with little orange flags. Listen for the blowhole and you’ll find it in no time. It’s about a 60-minute round trip. Things To Remember: If you visit the blowhole, bear in mind that it’s on a fairly deserted beach and it’s important to let someone know your plans before heading out. There are no safety fences between you and the ocean and Mother Nature doesn’t discriminate, so consider leaving your pets and small kids at home. The Ukee blowhole is a protected favourite spot for locals, so please show the land respect – take any garbage with you and leave the beach exactly as you found it. 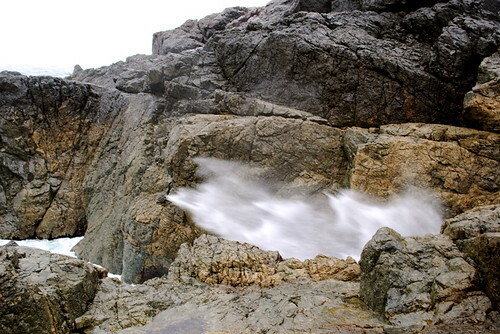 I love the Vancouver Island landscape especially the wild coastline. Watching the force of nature is amazing! Me-thinks I will have to make a trip out there one day and get some shots! This looks like an awesome place for a great seascape photo op. 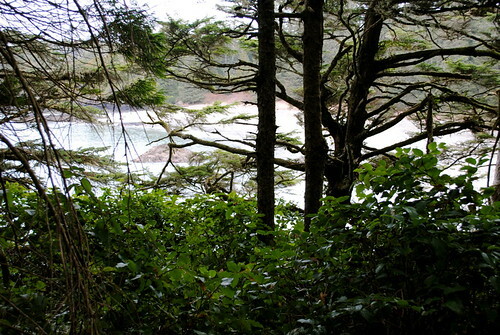 More people need to recognized this is private land and the traditional territory of the Ucluelet First Nation. It is never recognized when one comes “across stories” about the blowhole. 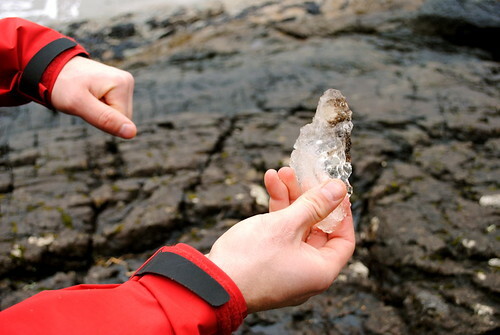 Trail guides have been made inviting people without asking or recognizing the Ucluelet First Nation. Local ‘Not in my back yard’ Nimbies constantly fail to recognize this also. Thank you mentioning “take any garbage with you and leave the beach exactly as you found it.”. Thanks for pointing this out, S.A. Much of the land on the West Coast is owned by local First Nations, including the spot of the Ucluelet blowhole. It should also be stated that while there is no signage informing visitors that the land is owned by the Ucluelet First Nation, there are signs on the beach stating that those wishing to camp on the beach must register with the Ucluth Development Corporation. There has been repeated sign vandalism in the past. Local nimby’s and summer squatters have repeatedly removed them over the years. This is treaty settlement land. 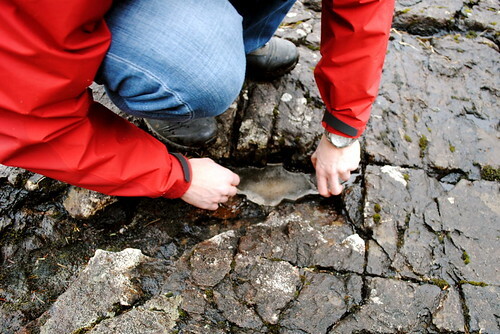 The access to the blow hole has always been through private land as designated by the crown. It is called Ucluth #6 reserve. What you refer to as “Fletcher’s Beach”. The surrounding area is treaty settlement land. As you stated,”Much of the land on the West Coast is owned by local First Nations” Yes that is true. When speaking of traditional territory the entire island is first nation land. 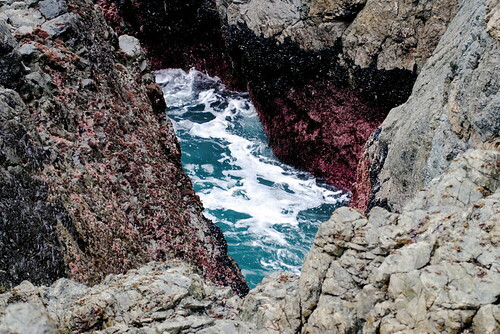 The access, land and territory around the blowhole is private land. It has been used as advertising in many trail guides, web blogs, and B&B owners of the area. I would hope local’s and tour guides would start recognizing the history and ownership of the are before inviting traffic. 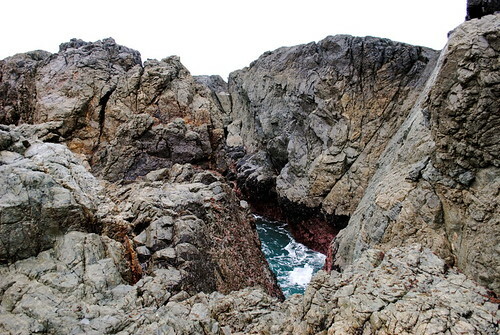 I used to live in Ucluelet and camped many times at Fletchers in the mid 80’s with no problems..in fact a first nations local told me, when I was camping there, where to find the blowhole from the beach also known as ,the “Talking Rocks”. Fifteen yrs ago upon camping on the beach a supposed local young native (who apparently is only 1/4 aboriginal) came along at midnight nevertheless!!!.. and demanded that I and one other camping nearby leave immediately!! I had 3 big bags of flotsam and jetsam (lots of that comes from the local Native and others fishing boats) and other garbage that I had collected earlier from the beach, and he didn’t care ,what so ever, that I lovingly look after the place..leave now he repeatedly demanded! I feel he was a crackpot and a person with a rascist agenda. It is a wonderful place ,but this self-righteous moron left a bad taste in my mouth..never been back since! Furthermore my understanding is that from the high winter tide line to sea level is Crown Land, Until this gets clarified, so be it! 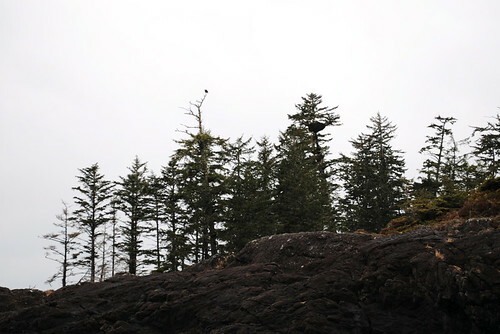 There is no signage either that you are entering or crossing Reserve land when accessing the beach…so that idiot was allowing entrapping people and then kicking people out…does not reflect favourably upon the locals and the community of Ucluth and Ucluelet. All these years later perhaps things are different now and more clear about whatever…awesome place! Sorry for my previous rant, Thank You for the video of the blowhole it brings back memories. I haven’t actually visited that magical place in 20 yrs. yet I still live on Van. Isle. 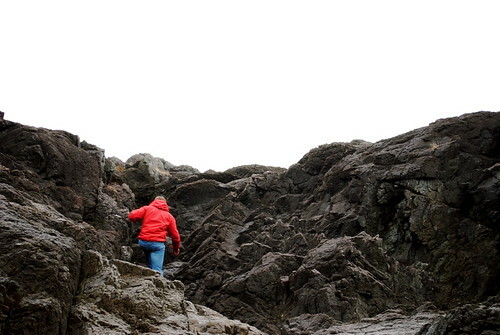 Interestingly, back in around 1985 an older local man in Ucluelet told me that in their language it is called, the “Talking Rocks”…because of the strange deep sounds it makes… I’ve been there several times. Just hike over the point at the S. end of Fletchers beach to the other side..there is another small beach on the cove of the blowhole side. It is now becoming more renowned. When I lived in Ucluelet early 80’s the Talking Rocks was like a secret, it was right off the radar even for a lot of residents. Even Fletchers beach was infrequently visited. Unfortunatelly I have seen squatters ruining and overtaking, and bothering other users in the beach area back in the early 90’s, so access control and protection becomes necessary. Nice (or not so nice), to hear there is now a beachfront campground N of Fletchers I’ve hiked to that beach years ago when it was really wild and deserted too. Just S from HalfMoon beach in the Nat. Park. Willowbrae rd accesss…Too bad about development!